Of necessity, along with preaching the gospel and celebrating the mysteries of our Lord’s sacramental Presence among his people, I have, in my ministry as a priest of the church, been learning to raise money. Almost no one that I know of offers his or her self to the church for the work and ministry of the Gospel because he or she feels called to raise money, but all the clergy are expected to do it anyway. Like learning about building maintenance, and fund accounting, raising money is just one of those things you have to do if you want to build up God’s kingdom and strengthen his church in the world today. I’m not complaining here; I’m giving you context. One of the things I have learned about raising money is that you need a case. A case is not a valise into which you place all the money you have raised. A case is an argument – hopefully a compelling one – that lays out why a person might want freely to make a contribution of his or her money to your cause. Arboretums must make the case for growing trees. Orchestras must make the case for playing music. Museums must make the case for displaying art. Schools must make the case for educating children. Hospitals must make the case for caring for the sick and curing illness. And so on. Churches, I suppose, must make the case for their various ministries: the worship, the music, the outreach, the pastoral care, the teaching, the preaching, the buildings, the gardens. And so on. I would like to think that by so doing, churches are making the case for the kingdom of God, but I suppose that remains to be seen in many cases. An essential, underlying pre-condition of making the case is the tax-exempt status of an organization. Philanthropy in America – which is to say charitable giving in America – is enabled largely by a tool supplied by the federal government, namely the charitable contributions tax deduction, facilitated by the granting of 501c(3) status to churches and other charitable organizations. This arrangement has not always been in place – Rodman Wanamaker received no tax benefit when he paid for the construction of the Lady Chapel (then again, there was no federal income tax then, either!) - but for nearly 100 years the tax deduction has defined the landscape of giving in America. Again, I’m not complaining; I’m giving you context. And in any context, Saint Mark’s has been a parish that has benefitted from extraordinarily generous giving. From our founders, to men and women who are sitting in the pews today, this parish has known the enormous blessings of a community of cheerful givers – some of significant means, but many of lesser means. And you and I are the inheritors of a great legacy of Christian stewardship in this place, where the case for the Gospel and for God’s kingdom has been made for 166 years. It is surprising to see how inept Jesus is at the basics of fund-raising, and how un-informed he seems to be about the need to make his case. In today’s reading from Luke’s Gospel, Jesus encounters a rich man, Zacchaeus – someone who in fund-raising terms would be called a “prospect.” There is a suggestion that Jesus has done some prospect research on Zacchaeus, maybe he has even gone to seek him out as he passed through Jericho, for he knows the tax-collector by sight when he spies him in the sycamore tree, and he calls out to Zacchaeus by name, and Jesus invites himself over to tea at Zacchaeus’ home. (This is a lot like an Every Member Canvass visit!) But here, if Jesus has any acumen as a fund-raiser, there is no evidence of it. Saint Luke mentions not a word of the case that Jesus may have made to Zacchaeus, he says nothing of the glossy brochure that Jesus brought with him, or the well-produced video he showed on his iPad. Not so much as a PowerPoint presentation is made, as far as I can tell! I have been looking for a couple of parishioners like Zacchaeus! Now, I hear you fund-raisers in the congregation objecting silently. How do we know Jesus didn’t make the case to Zacchaeus? Maybe that’s what he did inside? Maybe it was his miracles and his teaching that Zacchaeus had heard about that had already made the case, and Zacchaeus was ready to offer his gifts! Maybe one of the disciples had some bullet-points scratched out on a slate, or a scrap of parchment that they discussed inside? And I suppose any of these scenarios is possible. But I want to suggest another possibility to you: I want to suggest to you that as far as Zacchaeus was concerned there was no case to be made, for Jesus was himself the case. His presence, his call to Zacchaeus, his desire to be invited into the tax-collector’s home, his sitting down at table with him, and his friendship – all these seem to have been the elements of their encounter, and the steps that led to Zacchaeus’ astonishing act of generosity, his extraordinary gift! Jesus makes no case to Zacchaeus; Jesus is the case! In this parish, we are currently in the midst of what we have been calling a “season of stewardship.” Such a season demands that we talk about money, demands that the Vestry and I make the case for your financial support of this parish and its ministries. And we are happy to do so – for a lovely and compelling and happy case there is to be made, I have no doubt! 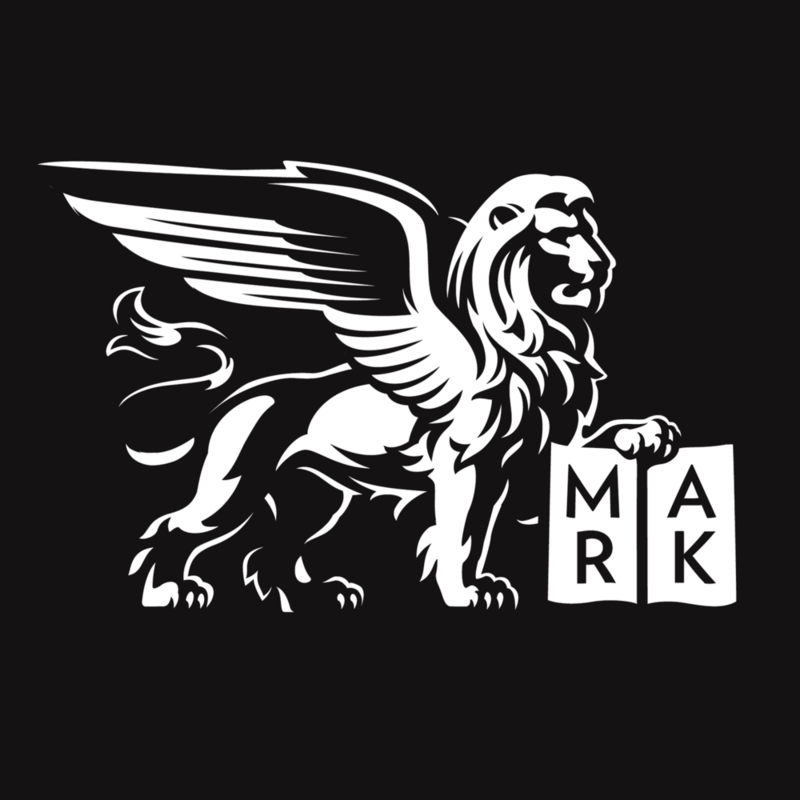 But the truth is that Saint Mark’s has always been a parish that has tried to make Jesus the case, because we know that when all is said and done, he is the case, and the only case to be made! We are here to meet Jesus: to let him into our lives, and allow him to change us, to perfect us, to lift us, to hold us, to enlighten us, to forgive us, to delight us, to mold us, and to love us. Jesus is the case! I want to make up a story, now. I want to tell you a fanciful tale of how the wood that was used to build our pews in this beautiful church was harvested from a grove of sycamore trees in Jericho that is thought to be the place where Zacchaeus climbed up into the tree to see Jesus. But the tree in question in the scriptures is a sycamore fig tree (ficus sycamorus), not very useful in furniture making, unlike the American sycamore (platanis occidentalis) from which furniture can be made. And anyway, anyone can see that our pews are made of oak (genus: Quercus). So my story-telling is squelched by the intrusion of facts and real life. Neverthless, I wish you would imagine that the uncomfortable wooden planks on which you sit are, in fact, the branches of a tree – never mind the species. I want you to imagine that you have climbed up into those branches to see Jesus. This is not so far-fetched, after all you have made your way here this morning for some similar reason. While you are up there, enjoying the view, I want you to imagine - not that you are Zacchaeus, not that you are a tax-collector, not that you are short of stature - but that you are rich! And for many of us, this is not so far-fetched either, but for some, I know it is a stretch. But we are just imagining, so don’t worry! And since you are perched up there in your branch, and I am perched up here in my pulpit, we have time to talk. And since you are feeling rich, I want to make the case for your support for Saint Mark’s. I want to remind you of our elegant liturgy and our glorious music. I want to recite for you the numbers of hungry people we feed. I want you to recall the fine work at St. James School – founded by this parish and still supported by us in so many ways. I want you to look around at our historic and lovely buildings. I want you to see how the gardens continue to become lovelier. I want to count with you the growing number of children who are becoming a part of the life of this parish. And I want to listen with you to the Boys & Girls Choir. I want to talk with you about the importance of the Ministry Residents. And so on. I want to spend time with you, up in your branch, making the case for Saint Mark’s – and I know this would be time well spent, and I believe you would respond well to it. But I sense another presence below us, calling us each by name, as we sit here in our perches. And as he calls, I know that there is nothing else really to talk about, for it is Jesus calling, as he always does. And Jesus is the case, and he is calling you and me. It’s almost as if he has researched us as likely prospects for the kingdom of God! It is because of Jesus that we come here day in and day out to worship, which means to open our hearts to God’s living presence, to beseech him to inhabit our lives, and to listen for his call to us to ask him into our homes. It is because of Jesus that we lift our voices in song, and work to perfect that song with careful preparation. It is because of Jesus that we care for the poor – not only because he tells us to, but because he was poor himself. It is because of Jesus that we have been trying to bend our ministry toward children – because we remember how he called children to himself, and how he taught that the kingdom was meant for them. It is because of Jesus that we want to ensure that the ministry of this place continues for generations. All for Jesus, all for Jesus, as the old hymn says. Remember that up here in our branches we are feeling rich! But Jesus is calling us down, asking to come home with us, to be invited into our lives so that he can invite us more deeply into his life. And if we hear him call, and if we are feeling even a little bit rich, the question is: what are we going to do about it? Zacchaeus gave away half his money, and then some. And remember that Zacchaeus didn’t even receive a tax benefit; in fact he gave others a four-fold tax benefit by his generosity! And Zaccaeus didn’t give away his money because of the great case for support that Jesus presented to him over tea, so far as I can tell. No, Zacchaeus gave his money away because it was good for him to do it; because Jesus is, himself, the case. Zaccaeus must have discovered that in a world that encourages us to be greedy, selfish, murderous, and mean; Jesus calls us to be good. In a world that enables our sins, Jesus calls us to repent. In a world that revels in darkness, Jesus calls us to bask in the light of his love. There is no greater case I can make to you for the support of the work of this parish than the case that is Jesus. And there is no greater promise I can make to you than that we will always work to make Jesus the case here at Saint Mark’s. And there is no better place I could be with you at the moment, than up here in this tree with you. To help you hear the voice of Jesus calling you and me. And to encourage you to get down out of the tree with me, to bring Jesus home with us, just as Zacchaeus did. To let him into our lives, into our homes, to let him make his case of love and self-offering. And then to do as Zacchaeus did: to open our hearts, and to give. Posted on November 3, 2013 by Sean Mullen.